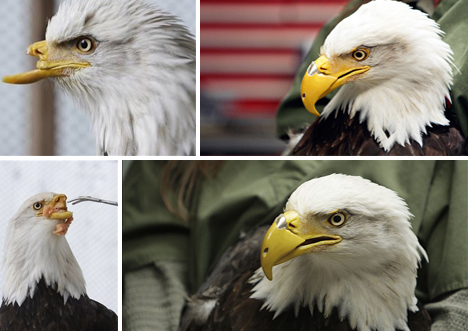 Neatorama has featured a number of stories about animals who have received prosthetics before, including Beauty the Bald Eagle, who lost her beak when it was shot by a hunter. WebEcoist has a great collection of these stories including many you probably haven't seen yet. Sadly, Bob, there's not as clear a distinction between the two as you might wish. Or so it appears from here, anyway. It could not have been a hunter that shot the Eagle as they are not a game animal, it was just a moron out shooting a gun of which there are over 25 million out there in the US. Leave US alone to make the "Free Bird' soar. "Fascinating Stories of Animal Prosthetics"